5 Ways to Use Leftover Beer. Who Has Leftover Beer? 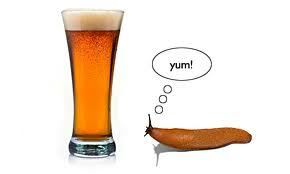 If you are looking for a greener way to kill slugs and snails, beer is a great option. Not only is it the green way to go, it won’t harm your pets at all, so if your dogs love the great outdoors, this is definitely worth a shot. Just bury a clean container in your yard with about a half inch sticking out of the ground, then put beer in it. The snails and slugs can’t resist the beer, so they’ll fall in and won’t be able to get out. You can also use beer to treat bald spots on your lawn. Because it is rich in nutrients, just pour beer over the brown spots and you’ll see greener grass in a few days.